Astro Bot Rescue Mission is the closest thing you’ll get to a Nintendo platformer on a PlayStation platform. Japan Studio hinted at something special in The Playroom VR’s acclaimed Robot Rescue tech demo, but this fully-fledged campaign is destined to be one of the sleeper hits of 2018. 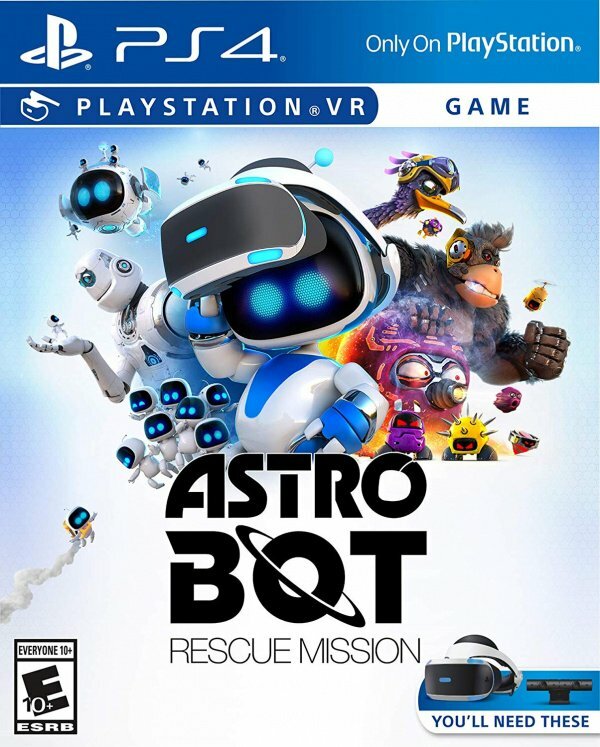 Designed specifically for PlayStation VR, this adventure is not only imaginative but it’s innovative to boot, delivering an intergalactic adventure that’s a pleasure to play from start-to-finish. With the addition of full stereoscopic 3D, you’re left with a selection of deeply immersive environments, which engulf you and react to where you’re positioned and what you’re looking at. The title isn’t afraid to break the fourth wall, and so the eponymous android will look to you for guidance as you move him around the world, while your headset will crack if you take damage to the face. It all helps to sell the illusion that you’re part of the scene, even if the gameplay itself is largely third-person. We say largely third-person because, similarly to Moss, motion controls are incorporated as well. Throughout the campaign you’ll unlock tools which are attached to the DualShock 4 controller, and these are then used to progress. A hookshot, for example, must be aimed at damaged walls in order to pull them down – or it can be employed to create makeshift tightropes for the hero. We won’t give too much away, but every gadget is intelligently implemented, augmenting new gameplay gimmicks. Your main objective in each of the stages is to rescue eight missing robots, with these either hidden in plain sight or the reward for completing a challenging platforming sequence. The game rarely runs out of ideas, introducing unique mechanics before throwing them out and replacing them with something else. 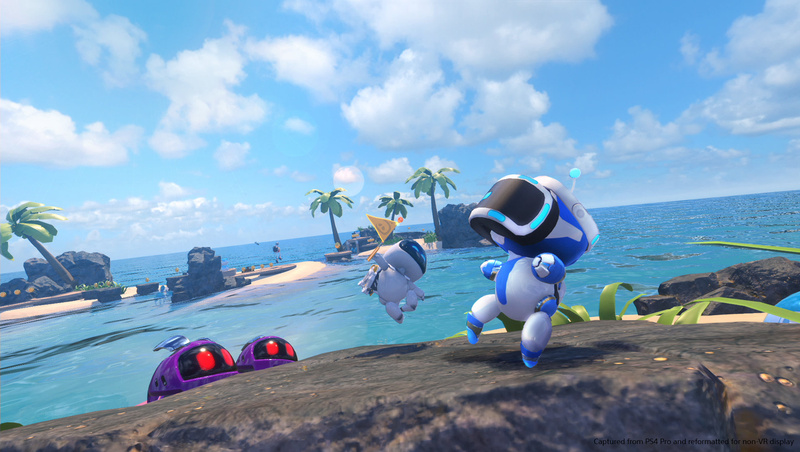 One level, for example, equips Astro Bot with a swimming ring and tasks you with navigating a rising tide in order to overcome enemies and dangerous obstacles on the sea bed. The art design is outstanding, with the animation a particular highlight. One particular beach-based bot plays keepie-uppie with a football before volleying it in your general direction; you can of course bat it back to take him out. Another enemy type transforms into a hammer, and will attempt to flatten you if you don’t get out of its way. The game’s never particularly difficult, but there’s just enough challenge to keep you on the edge of your seat – it’s expertly tuned. The boss fights are perhaps the biggest highlight when it comes to sheer scale and spectacle, with PlayStation VR allowing the eclectic collection of critters to tower over you. These are all pattern-based battles, where you’ll need to yank at the teeth of a gorilla or punch the pilot goggles of a giant bird. Again, it’s the animation that really brings these gigantic characters to life, with them reacting to each and every attack. While the campaign isn’t enormously challenging, it’ll run you a good four or five hours before you see the credits roll. Crucially, you’re unlikely to find all of the missing robots on your first attempt, so there’s plenty of replay value if you want to 100 per cent the game. Elsewhere, hidden chameleon collectibles unlock challenge levels, which repurpose environments and mechanics from the main game but up the difficulty a notch – there’s easily 15 hours of high-quality gameplay on offer here. And just as an aside, you’ll be collecting coins while you progress through the adventure, which can then be spent on a UFO Catcher machine, unlocking little “toy-based” assets that you’ll have encountered while progressing through the game. It never takes itself too seriously, but everything about it is tactile and well designed; even the nature of the experience means that you’re unlikely to encounter motion sickness, making it a very comfortable game to play. 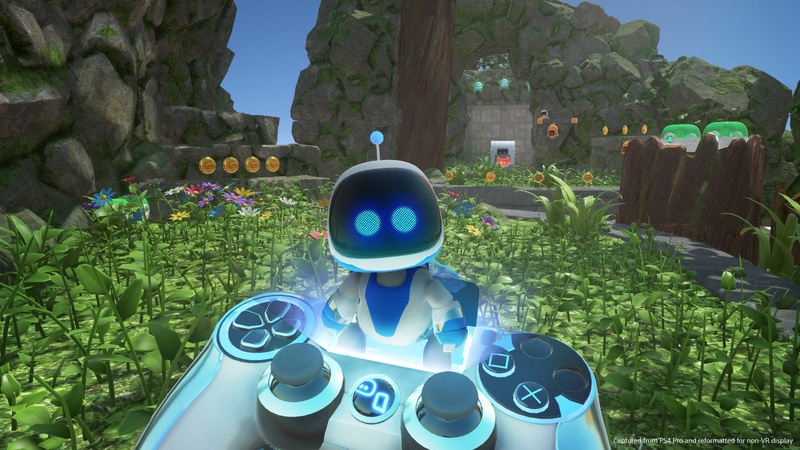 Astro Bot Rescue Mission is an imaginative and innovative platformer which plays to the strengths of PlayStation VR and delivers an immersive experience that isn’t easy to forget. Stunning presentation elevated by insanely good animation ensure that you always feel present in the release’s virtual world, while tight controls and genuinely clever level design will keep you engaged. This is the kind of game that will leave you beaming long after you’ve taken the headset off – and we can’t give it higher praise than that. Happy to answer any questions or queries. Just @ me. Holy molly looks like a good solid psvr game. Wait, the game is out tomorrow? Already? Woah, nice. I thought it wasn't out until December/January. Excellent review. This may push me to spring on a PSVR. @AlejandroMora It's not just a great PSVR game — it's one of the best games of the year in my opinion. PSVR officially has its killer app. Playroom has been hinting at something great for a while now so it's great to see it fulfilled. @get2sammyb is the camera movement more or less the same as in the Playroom VR robot rescue? For some reason that little demo is one of the only PSVR games that made me feel motion sick. I think it was because the camera slowly moved forward as i was looking around whilst still stationary, and it made my mind freak out from the disconnect. Hopefully I've grown immune from it after extensive VR time on other games. I knew this game would turn out to be something special! Been eagerly following the previews & I’m beyond pumped. Can’t wait for that timer to trickle down!! @Perryg92 Same here. Motion sickness is my main worry. Wow, this does sound very charming and something I would definitely play. If Nintendo had adopted VR, I could have seen this being the Mario game that goes with it! I am glad to see Sony adopting some of that Nintendo mentality into it’s games. It’s a nice reminder that not everything Sony pushes out has to be a realistic blockbuster. 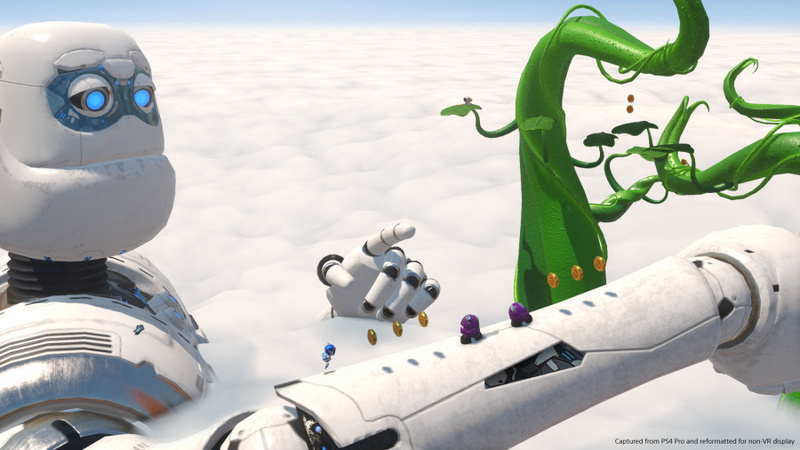 Imaginative, innovative, and fun still has a place in gaming! This really makes me wish I knew someone with PSVR to try it out. This really does look like Mario 64 turned VR (I haven't played newer Mario games so maybe there is a better example). I just love how the robot runs like Mario and slides around, and of course the coins. I hear a lot of people worried about motion sickness its best to ease yourself into it through certain games. As you get used to it there are games that really push your limits. I have never thrown up over my dog while playing VR. Does this have co-op play like the Playroom demo? It is testament to how much I want VR to succeed and this game to be good that I actually breathed a huge sigh of relief after reading that first paragraph! Also can we just acknowledge on what an unbelievable roll Sony have been on. This has to be their best year ever from a publishing standpoint. Hit, after hit, after hit. Wow, exactly what I'd hoped for. So glad it lives up to expectations. @naruball @Perryg92 Yeah, it's the same. I had absolutely zero issues with motion sickness, but obviously it does affect everyone differently. Felt really comfortable for me, though. @NintendoFan4Lyf Definitely try it if you can. It's hard to imagine anyone coming away unimpressed. I really hope this sells well. @NintendoFan4Lyf If it was a Nintendo game and featured Mario it would no doubt be hailed as the next great innovation in gaming and get compared to death with what Mario 64 did for 3D platforming. Darn I want this game. Wish I could justify the expense this month. @JoeBlogs You are probably right. Mario is iconic and, therefore, gets more attention. It’s a shame that this game won’t get the same level of attention. This seems to be a fantastic example of how VR can have a positive impact on more...standard...game types - it’s not all jumpscares, stand-in-one-place rotating shooters, and thrill-ride simulators. So happy to hear that it turned out well. I loved the Robot Rescue demo and was hoping that we would get a full experience. @get2sammyb What they said - @mikeym "Does this have co-op play like the Playroom demo?" But I'll throw in "couch" in case there is co-op but it's online only. I'll pick this up on sale for $20 if it has the co-op, if not $5 on a PSN sale or see if my library has it for a weekend borrow. I borrowed Batman VR, they should have this, many more family frienldy games than M games. @rjejr @mikeym Not really. Everything you do is shown on the television screen so you could help each other find the missing robots, but I wouldn't really describe it as co-op. Definitely more of a single player experience. @get2sammyb Thanks, that's what I figured since they never mentioned it anywhere and I kept asking on the PS Blog and Twitter. Does save me some money, though I was looking forward to having a reason to use the PSVR again with the family. FYI in case you never used it yourself, in the Playroom the couch co-op worked by the second person using a dualshock to collect coins with some flying vacuum ship, which was kind of boring, but they also helped spinning some fans to move some platforms. I was hoping with the added platforming complexity in this game the 2nd player could hold up bridges or knock down walls or something. That video as a whole is pretty good, lots of couch co-op in there, but it seems like Sony has compeltly abandoned that aspect, shame. This sounds aweseome. I'll be sure to get when I get VR. Great review. @feral1975 my order for the game has already been dispatched, there is a low chance it will come before release date though sadly but i can't wait to play. Oh my God I forgot all about this..had no idea it was so close to release! Great review @get2sammyb and I assumed it would get a good score but I'm shocked it earned a 9. Robot Rescue was one of my fave VR games so will be picking this up sooner than later ('no more buying games before Christmas' promise to myself has gone out the window!). This was not on my radar. Now it is. Thanks! Too bad I can't play this without VR. Otherwise I'd buy it in a heartbeat. Oh man, I’m so happy for this, I love 3D platformers. I wish I had a PSVR now, so I could play this masterpiece. 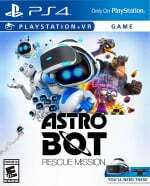 Astro Bot is 89 on Metacritic right now, definitely a GOTY contender =P. One of the few games I preordered a few days ago. I LOVED the playroom VR game. Sweet review! On my buy list. Nice to see another top game adding to the PSVR library. @Perryg92 I had the same experience when I first played it (and it was one of the first VR games I played). However, I found it to be no problem at all coming back to it after getting more experience in other games. So, hopefully it'll be the same with this one. There doesn’t seem to be any flaws pointed out In the review. What would it take for it to reach 10/10 in ur opinion Sammy? Thanks for the review, it's coverage of the game has enabled me to make an informed decision, regarding whether or not to purchase the title. I had no plans to buy this. I loved the VR demo but didn't want to get this and look what you've made me do. Pre-ordered just now. Got this through the letter box earlier today. Not played much but what I have is fantastic. Looking like a must buy if you haven't already. @JoeBlogs That’s so true. Which make me wonder something. If Nintendo start making VR games, and their first release was a Mario game, would that help VR become mainstream a lot sooner? Wasnt really sold on this from the Playroom VR demo game but finished the first world and really liked it ..... THEN, I got to that dolphin level (lvl 2-2) and absolutely adore it now. Ive NEVER experienced anything like this in all my years playing games. 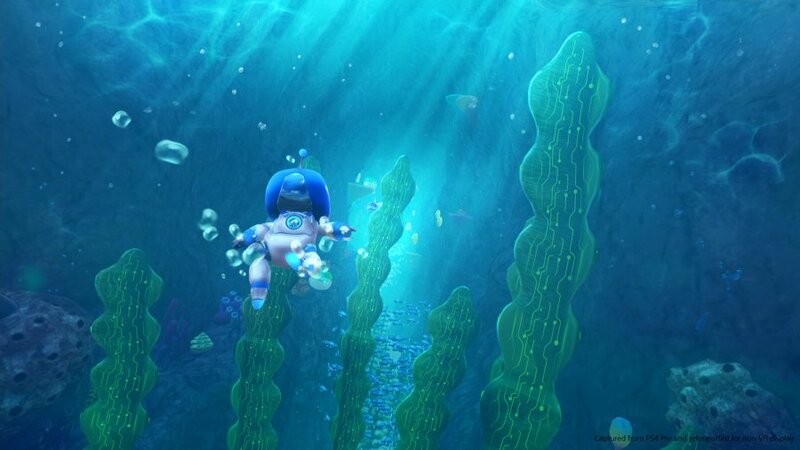 I generally dont like swimming levels in games at all, but this game is different ... it actually transported me to the seaside. The waves and rippling water effects are so convincing. . . then, when you go underwater it gets even better.... THEN, when you resurface, you interrupt a cute little game of footy before playing headers and volleys with a giant robot!! Mind-blowingly good. Finding those little robots is soooo addictive! Cant wait to see what else they throw at me in later levels. . . ive got a sneaking suspicion its gonna get even better (if thats possible)! Great review. Just picked this up today and it just may be my favorite vr game since Moss. There's one thing you forgot to mention in the review (IMO), the soundtrack! It's a really great sound design that fits extremely well into each level. @NYJetsfan123 Yeah the music's great, agreed. I just finished this game tonight and it is one of the most immersive experiences i've played on any VR Headset. A must buy title and a PSVR system seller for sure.